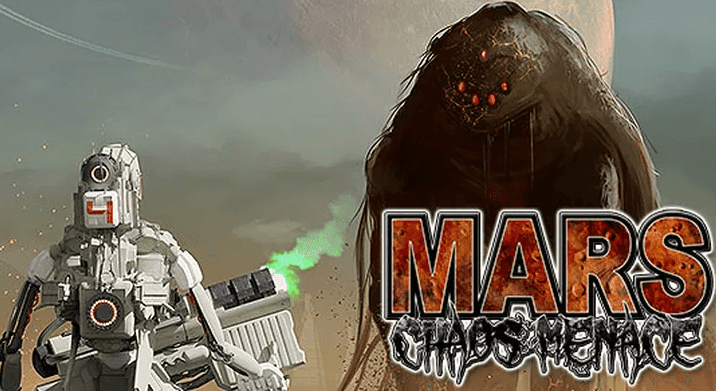 Byte4Games and StarCruiser Studio celebrate the return of the bullet-hell shooter genre with the launch of Mars Chaos Menace. Clearly inspired by genre classics such as EspRaDe, DoDonPachi or Ikaruga, the title from Byte4Games mixes the classic approach of the arcade shooter genre with a 3D graphics environment with all kinds of visual effects. If you love to dodge bullets by millimetres, face giant final bosses, use your shields in the last millisecond to avoid being destroyed and unleash special attacks capable of sweeping all enemies on screen, Mars Chaos Menace is your game. Humanity overcame all environmental issues on Earth planet developing tech abilities to adapt hostile environments to natural human needing. This tech was being taken successfully to near planets which remained inhospitable until human arrival. For the first time in human existence, we feel in harmony with everything. But our tech and recent activity attracted monstrous entities which only a parent purpose was devastated and sterilize planets finishing with all life forms. • Neat aesthetics and design that you will be delighted with. • Great variety of unique environments to be discovered in the missions. • Impressive enemies that will make you suffer and excel your skills. • Several different enemies with a unique behaviour. • Action and challenge guaranteed for arcade shooter lovers. Mars Chaos Menace it’s now available, exclusively in digital format, on PlayStation 4, Nintendo Switch and Steam. The exact launch date for the Xbox One version of the game is coming soon.